Sriracha: because some like it hot. 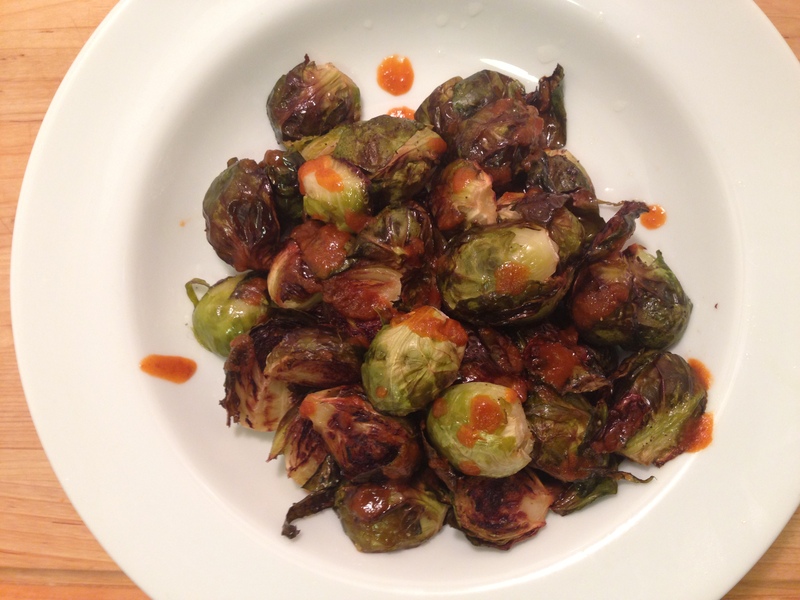 You thought I was going to dish about the sprouts, but the real superstar in this recipe is the hot chile sauce — the mother of all spicy condiments: Sriracha. This little number recently burst onto the scene a few years ago and has been cropping up in all-star kitchens across the city — and in Fieldhouse Kitchen. The first time I sampled it in a dish was at the bar at Fedora in the West Village. When I asked how the dish got its delicious heat, the bartender brought me a bottle of Sriracha from the kitchen. The next day, I went to Gourmet Garage and the rest, as they say, is history. Sorry sprouts, back to you. Time to get fired up. Preheat your oven to 400 degrees. 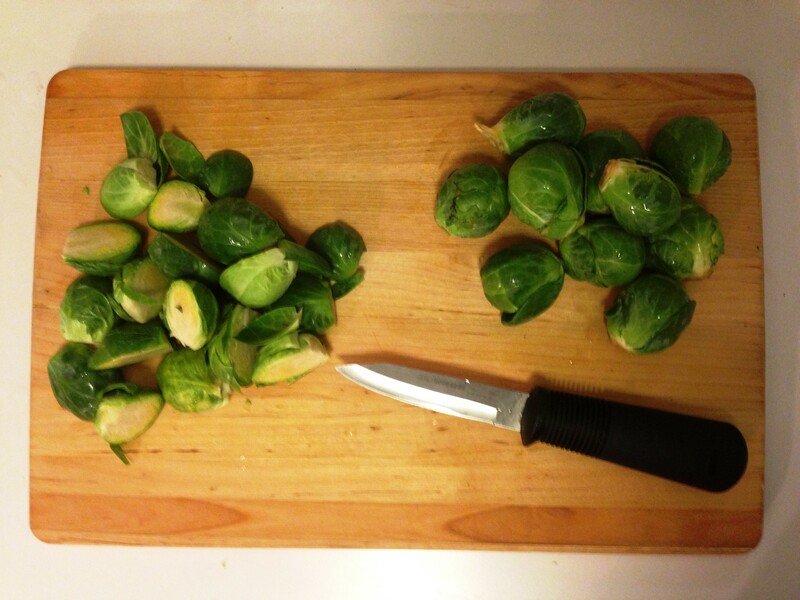 Wash your brussels and slice off the ends. Slice them in half and then toss with a few tablespoons of olive oil (enough to lightly coat them evenly) and sprinkle with salt and freshly cracked black pepper. 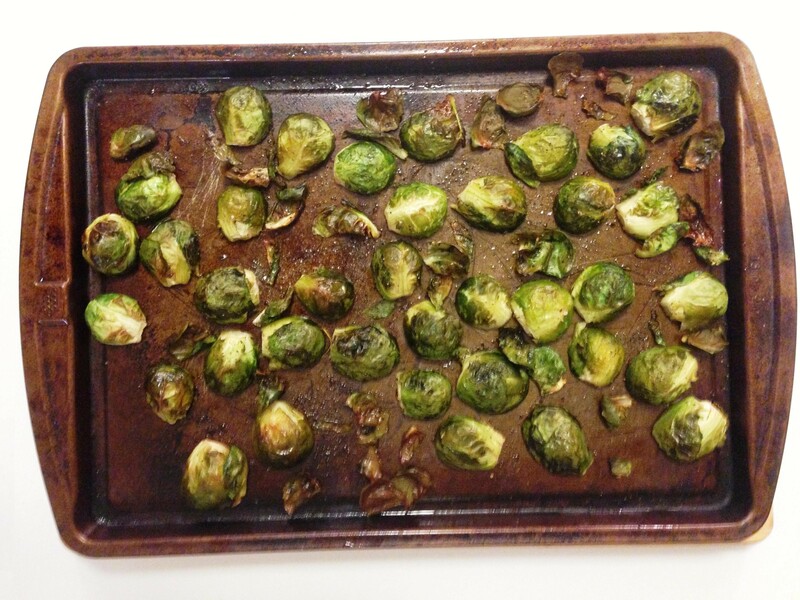 Place the sprouts face down on a baking sheet (this helps gives them that evenly distributed gorgeous caramelized slightly burnt look). 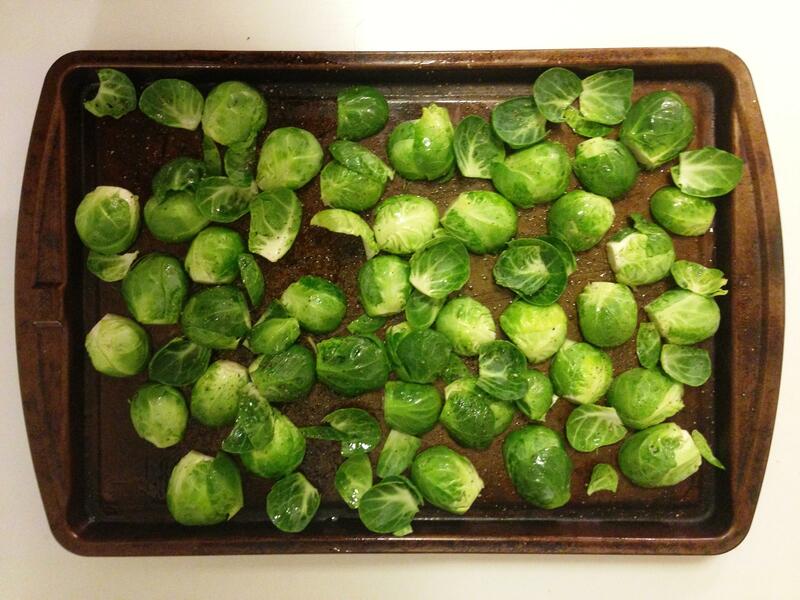 Place the tray into the 400 degree oven for about 35-40 minutes or until the loose leaves become crispy and the insides of the brussels are tender. Using a spatula, turn them about halfway through the cooking process. Fieldhouse Fun Fact: I add Sriracha to my bloody marys. It gives it a perfect kick. 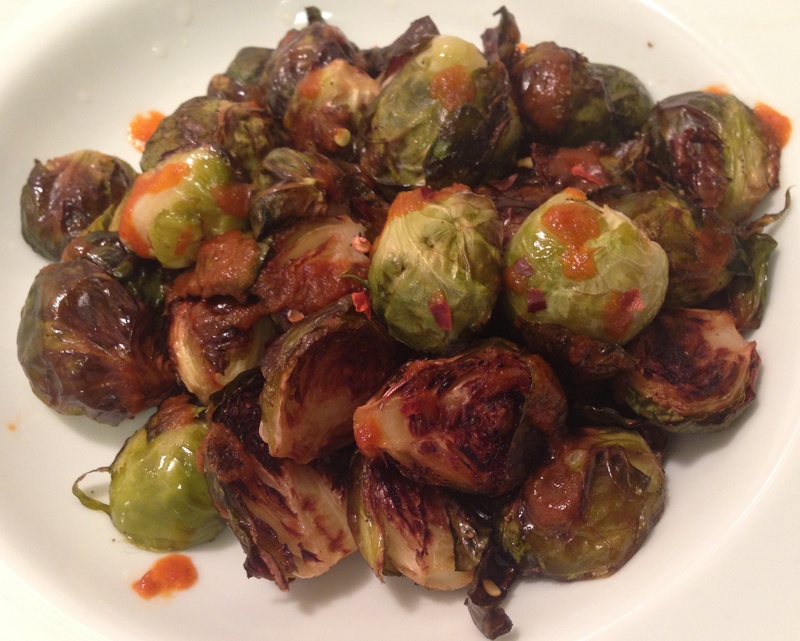 Made these brussels the other night. Delish! 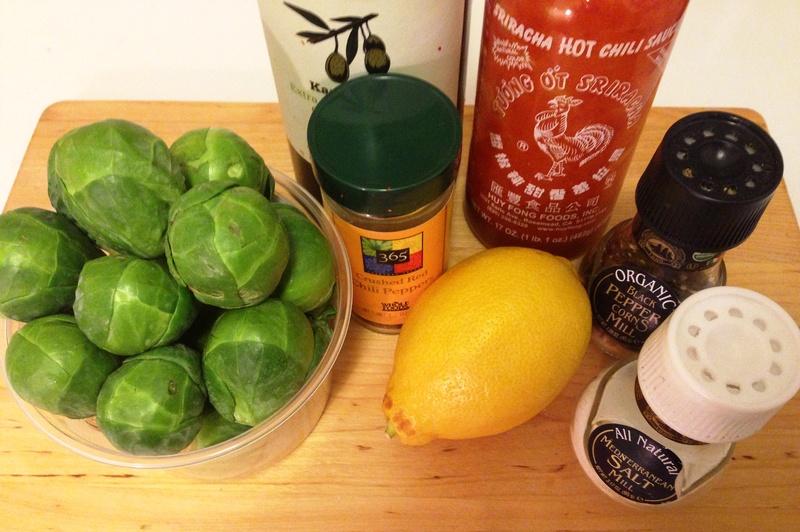 This was definitely the kick in the pants my sprouts needed. Thinking of adding a drizzle of honey next time because I love the spicy sweet combo.